Where Character Counts and the Adventure Begins! • Your time is valuable. More than ever, today’s families struggle to find time to spend together. Cub Scouting helps to support your family by providing ready-made opportunities for you and your child to do things together. 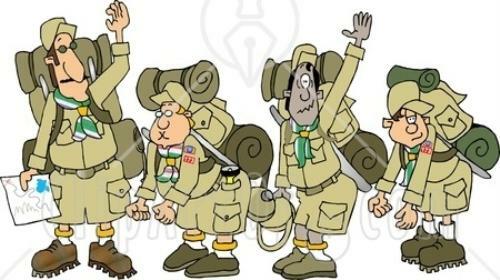 • Your child needs to belong to a group of scouts their own age. Through this sense of belonging, they build self-esteem and learn to get along with others. As a parent, you want to be assured that the groups that your child joins will teach values consistent with good citizenship, character development, and physical fitness. The Boy Scouts of America has been weaving these lifetime values into fun and educational activities since 1910. • In a society where your child is taught that winning is everything, Cub Scouting teaches them to “do my best” and to be helpful to others. • Scouting teaches family values and works to strengthen your relationship with your child. Scouting activities can bring added value to the time you already have with your child. Children join because it is fun. Scouting is fun with a purpose! Scout Parents assist with short-term projects in the den or pack. This might be coordinating pack money-earning projects, service projects, conservation projects, field trips or outings, blue and gold banquet, day camp, pinewood derby, pack overnight camping, or field day events. What Is a Scout Parent? A Scout Parent is a parent or adult mentor of a Scout who enthusiastically participates with their Scout and also helps other volunteers to provide the best quality program experience to all youth in every unit. • Leads their family in obtaining the values, benefits, and rewards from their family’s Scouting participation, and in sharing these with others. • Enjoys participating with his or her Scout, and inspires their child to persevere in Scouting with their tenure, activity participation and achievement. • Helps enhance youth and parent-mentor recruitment, retention, enthusiasm, commitment, and participation in the passionate GREAT family FUN of Scouting! the badges, belt loops and pins they have earned during the month. 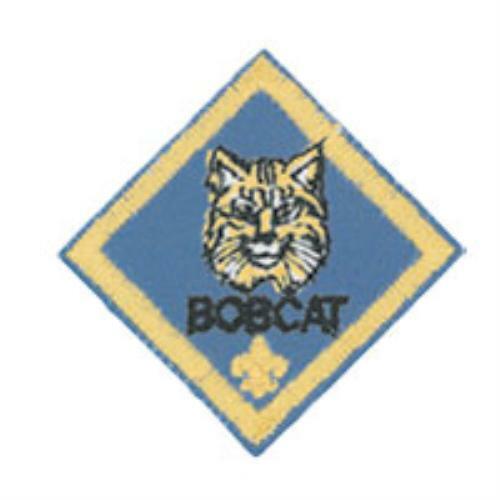 All Children, when they join, earn the Bobcat badge first. Your den leader will show you how. The Tiger Cub Den (Grade 1) Parents are most involved at the Tiger Cub level. The scout and their parent (or guardian) join the den together and attend all meetings and activities together. The den is made up of 3 to 8 of these parent-child teams. Teams take turns running the activities and planning meetings with the Tiger Cub den leader. The den has two meetings month and one that is a "Go See It” activity (the den, as a group, visits a community place of interest), and the First week of the month is a monthly pack meeting held in the Gym, Or other location TBD. Parents are vital to the Cub Scout dens, both in the role of home support and to help the den leader, but their child is beginning to be more independent, and not every child needs a a parent at every den meeting. The den consists of a leader and an assistant den leader (usually one of the scouts parents) who helps the den leader. They meet once a week at a regularly scheduled time and place, and they also attend the pack meeting with their families. The Webelos den is much like the Cub Scout dens, with more emphasis on the Scouts learning to take leadership roles, in preparation to become Boy Scouts. Webelos lasts for 2 years: 1st yr as Webelos and 2nd yr as Arrow of Light Webelos. The Cub Scout pack is made up of all the dens, which meet monthly at the pack meeting, led by the Cubmaster. This is the climax of the monthly den meetings and activities. There are games, skits, songs, ceremonies,presentations of badges that scouts earned during that month. This is where families—not just parents, but siblings, too— see the achievements of their Cub Scout. Pinewood derby®—You can build and race a model car with your child. Camping—Overnight and day camp opportunities introduce your family to the camping experience. Service projects—Packs may participate in food drives, conservation projects, or other community activities. Field trips and special outings—Great ways to learn more about the people and places in your community. Make memories with your child that will last a lifetime! The most important help that you, as a parent, can give your child is to work with them on their Cub Scouting activities. The handbook is full of age-appropriate activities that you will enjoy doing together at home. When they complete an activity or project, it is your responsibility to sign the book to verify that they have done their best. And then it is all-important for you to attend the monthly pack meeting with them, so that you can celebrate their achievement. Your role as a parent is the secret of success of the Cub Scouting program! 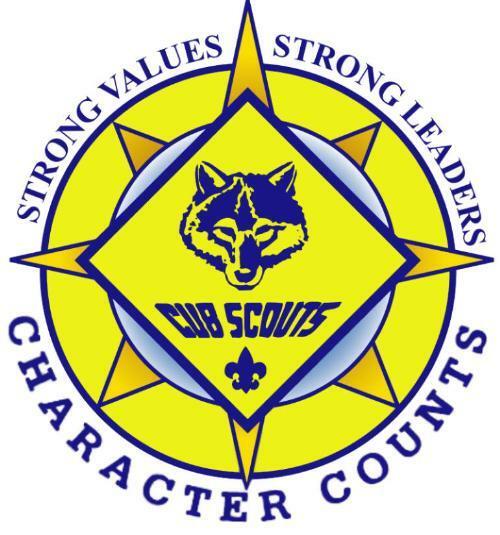 Cub Scouting operates through volunteer leadership. Consider volunteering as a member of the pack leadership team or as a parent helper. Volunteer leaders are an example of Scouting’s principle of service to others. By volunteering in Scouting, you are also giving your son the gift of your time. What could be more valuable? Leads the den at weekly den and monthly pack meetings. Attends the monthly pack committee meeting. Helps plan and carry out the pack program with the help of the pack committee. Emcees the monthly pack meeting and attends the pack committee meeting. Pack committee members (positions listed below) perform administrative functions of the pack. The committee meets monthly. Presides at all pack committee meetings. Helps recruit adult leaders and attends the monthly pack meeting and pack committee meeting. Maintains advancement records for the pack. Orders and obtains all badges and insignia. Attends the monthly pack meeting and pack committee meeting. Maintains activity schedules and records. Coordinates volunteers to help, secures permission and necessary permits. Files trip applications, collects event fees, necessary waivers, permission forms, ensure sufficient vehicle seats are available and two deep leadership is committed for the entire event. Also helps keeping Health Forms are on file for Scouts and Adults. Keeps all records for the pack, including pack bank account, financial records, etc. Attends the monthly pack meeting and pack committee meeting. Pack trainer. Coordinates Fast Start training for adults. Promotes leader training and roundtable meeting attendance. Attends the monthly pack meeting and pack committee meeting. This can be be 3 separate positions. The Boy Scouts of America offers convenient training for everyone—parents, leaders, and youth members. As a new parent, you can learn all about Cub Scouting and the wonderful year-round adventure he is about to experience. Log onto www.scouting.org, click the “Parent” tab, then “Training,” and you will discover all of the courses available. Create a “My Scouting” account and get started. Child abuse is a serious problem in our society, and unfortunately, it can occur anywhere, even in Scouting. Youth safety is of paramount importance to Scouting. For that reason, the BSA continues to create barriers to abuse beyond what have previously existed in Scouting. policies, and provides parents and leaders with numerous online and print resources for the Cub Scout, Boy Scout, and Venturing programs. Youth Protection training is required for all BSA registered volunteers. New leaders are required to take Youth Protection training before submitting an application for registration. The certificate of completion for this training must be submitted at the time the application is made and before volunteer service with youth begins. Youth Protection training must be taken every two years. If a volunteer’s Youth Protection training record is not current at the time of recharter, the volunteer will not be registered. We encourage all parents to take the BSA’s Youth Protection training. To find out more about the Youth Protection policies of the Boy Scouts of America and how to help Scouting keep your family safe, see the Parent’s Guide in any of the Cub Scouting or Boy Scouting handbooks, or go to: http://www.scouting.org/Training/YouthProtection.aspx. Uniform—The uniform and its cost vary by program for both youth and adult. See www.scoutstuff.org for details and current prices. Uniforms may also be purchased at your local Scout shop located at 525 S. Foothill Drive, Salt Lake City, Utah. 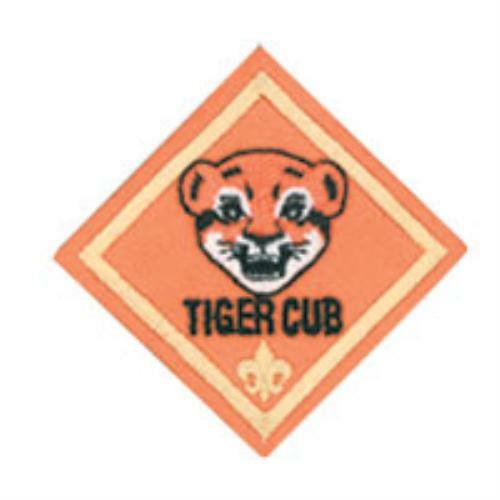 Books—Youth handbooks are the Tiger Cub Handbook, Wolf Handbook, Bear Handbook, and Webelos Handbook. and Webelos Leader Guide. See www.scoutstuff.org or your local Scout shop for prices and a wealth of other reasonably priced resources. Spending Time With Your Child: The Secret of Success! 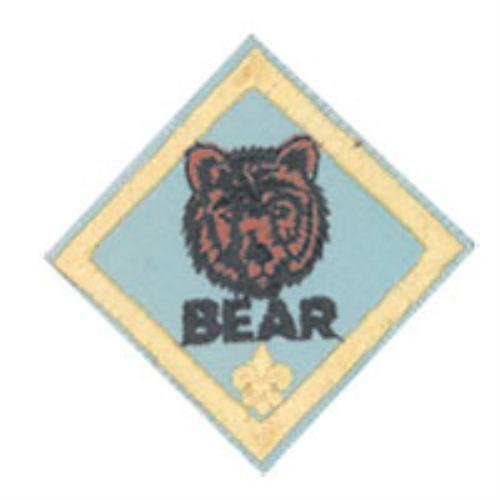 Your den is in a pack that belongs to an organization chartered by the Boy Scouts of America (BSA) to operate a Scouting unit (a chartered organization). The chartered organization approves leadership, helps secure a meeting place, and makes sure that the pack works within the guidelines and policies of their organization as well as those of the BSA. 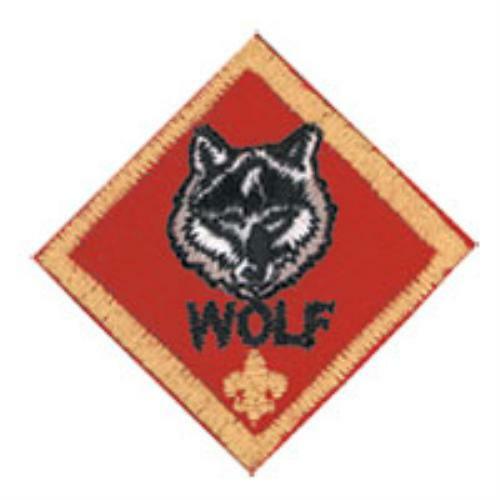 Your pack is a member of a district, a geographic area of the BSA local council that helps support the pack in providing a successful and high-quality program. An employee of the local council, a unit-serving executive (district executive), is assigned to assist the packs in your district. Your district also has a volunteer team called the commissioner staff. They are a “service team” that checks on the program “health” of your pack, and they are a communication link between your pack and the local council. A commissioner is assigned specifically to assist your unit. All leaders need training to be effective. Your district provides online or CD-ROM based training for adult volunteers in how to be a successful leader. Call your district training chairman for further training information. Your pack also has a pack trainer to oversee adult and youth training. Your district is one of several in the BSA local council. The professional staff at your council service center can help or will get you in touch with someone who can. 2nd & 3rd Tuesdays - Den meetings, in LOFT/LOFT Classrooms (3rd Floor). Den Meetings also take place outside at Wasatch Hollow Park, other trips. Your Den leaders have a plan and schedule throughout the year. !st, Tuesday - Pack Meeting, all dens meet together in the gym, or other designated place, for awards and fun activities. The Whole family is invited to participate. Our Pack’s chartered organization is the "Wasatch Presbyterian Church". Our Pack is in the "Bonneville District" (#5). 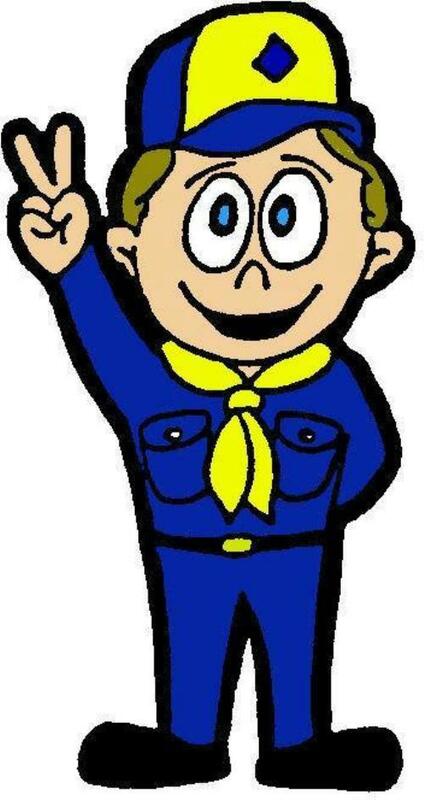 Our local Scout Council name is "Great Salt Lake Council".